December 8, 2014 5:00 am By Lori Post contains sponsored/affiliate links and I get commissions for purchases made from links. As an Amazon Associate I earn from qualifying purchases. In the mood for some Macy’s shopping? 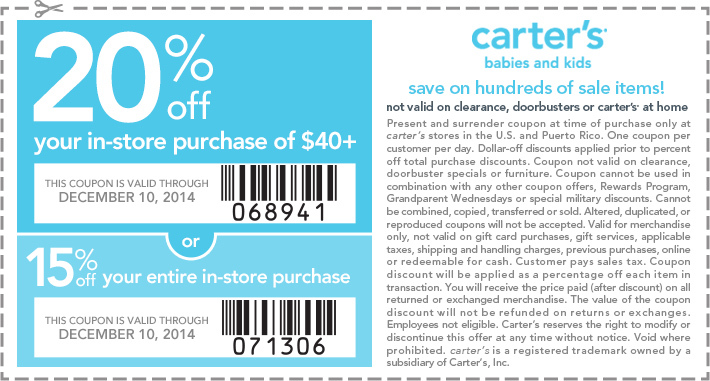 Bring THIS printable coupon along, and save $10 on your $25+ purchase of sale & clearance apparel & select home items. Valid Tuesday (12/9) until 1pm or Wednesday (12/10) until 1pm. December 5, 2014 7:28 am By Lori Post contains sponsored/affiliate links and I get commissions for purchases made from links. As an Amazon Associate I earn from qualifying purchases. November 29, 2014 1:24 am By Lori Post contains sponsored/affiliate links and I get commissions for purchases made from links. As an Amazon Associate I earn from qualifying purchases. Shopping today? Get $10 off your $25+ purchase at JcPenney’s with THIS printable coupon. Or visit Macy’s before 1pm today and get $10 off $25 with THIS printable coupon. 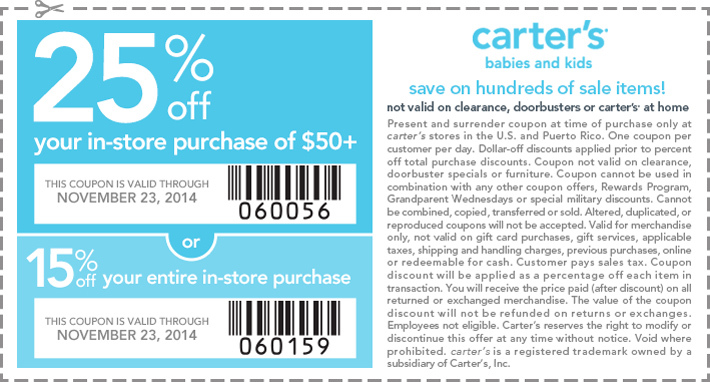 Shop before noon at JoAnn’s and use THIS coupon to save 20% off your entire purchase – including sale items! Shop before noon at Michael’s and get 25% off your entire purchase – this one includes sale items too! Just bring THIS printable coupon. You can find my complete list of mall coupons HERE. November 26, 2014 7:08 am By Lori Post contains sponsored/affiliate links and I get commissions for purchases made from links. As an Amazon Associate I earn from qualifying purchases. November 21, 2014 8:46 am By Lori Post contains sponsored/affiliate links and I get commissions for purchases made from links. As an Amazon Associate I earn from qualifying purchases. November 20, 2014 11:06 am By Lori Post contains sponsored/affiliate links and I get commissions for purchases made from links. As an Amazon Associate I earn from qualifying purchases. If you have some craft projects in mind for the holidays, you’ll want to head in to JoAnn’s with THIS printable coupon. It entitles you to 20% off your entire purchase of regular and sale priced items. Valid now through Saturday (9/22). November 20, 2014 7:11 am By Lori Post contains sponsored/affiliate links and I get commissions for purchases made from links. As an Amazon Associate I earn from qualifying purchases. Macy’s has released another printable coupon good for $10 off your $25+ purchase. Use it 11/21-11/22 until 1pm to save on sale & clearance apparel and select home items. November 17, 2014 5:00 am By Lori Post contains sponsored/affiliate links and I get commissions for purchases made from links. As an Amazon Associate I earn from qualifying purchases. Macy’s has released some new printable coupons. 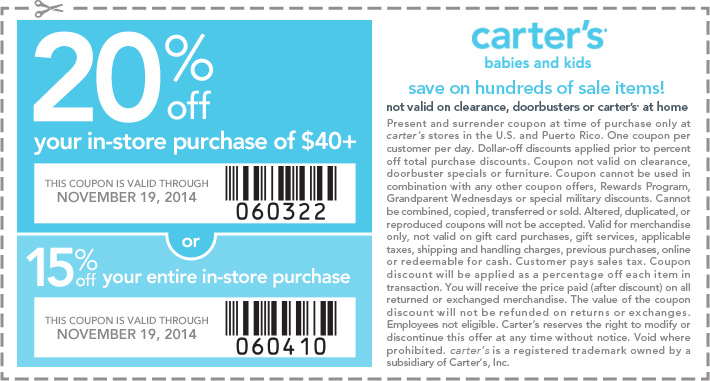 Visit the store on Tuesday (11/18) or Wednesday (11/19) until 1pm and get $10 off $25+ or $20 off $50+. Valid on sale & clearance apparel and select home items. November 15, 2014 8:34 am By Lori Post contains sponsored/affiliate links and I get commissions for purchases made from links. As an Amazon Associate I earn from qualifying purchases. If you happen to be out and about today, be sure to stop in to Old Navy to pick up some thermals on-the-cheap. Adult sizes are just $6, and kids sizes are $4! No coupon required. Valid today only while they last. Limit 5 per person. November 14, 2014 8:15 am By Lori Post contains sponsored/affiliate links and I get commissions for purchases made from links. As an Amazon Associate I earn from qualifying purchases.